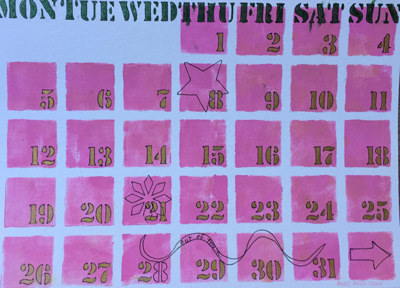 How could you not plan to have an exceptional day with these stencils? 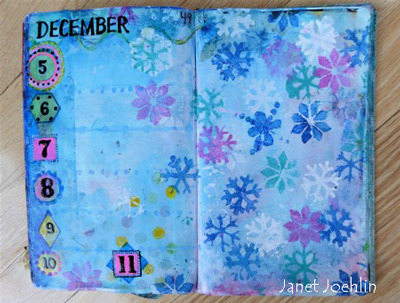 all while splashing color across your life. 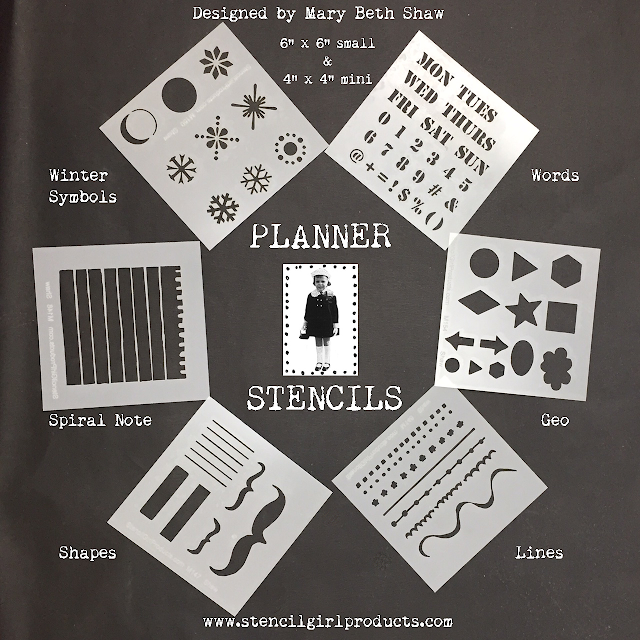 Mary Beth has definitely gotten away from the expected with these planner stencils. 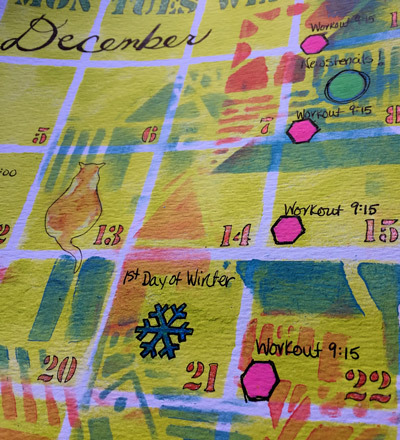 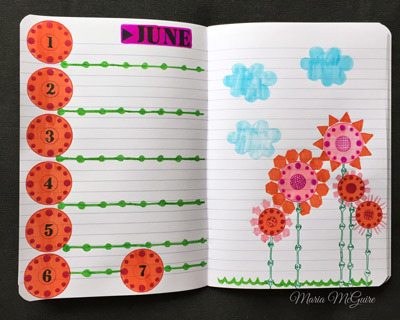 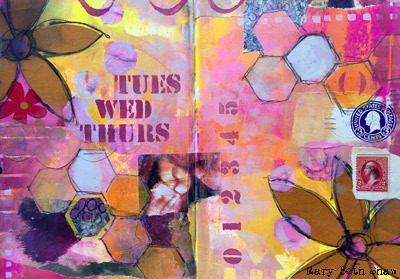 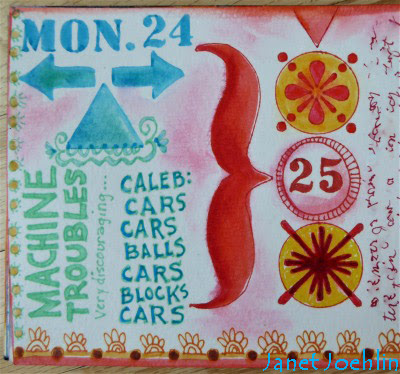 Want to see how Mary Beth finished the planner page below? 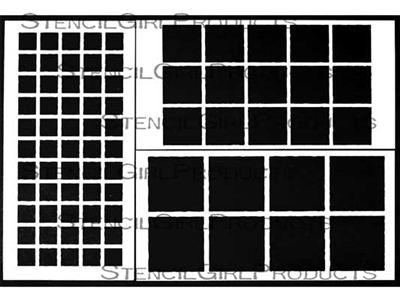 Watch your email for the StencilGirl SCOOP! 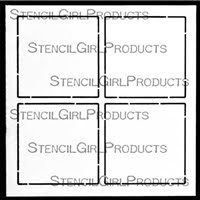 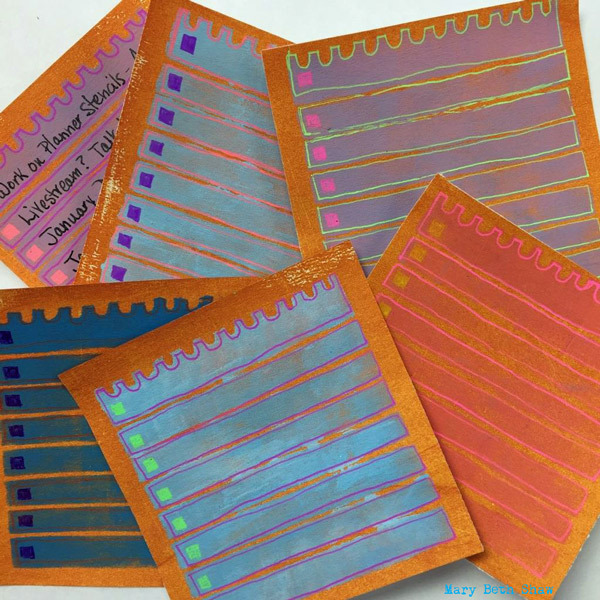 These Planner Stencils also work well with Mary Beth's grids and grid lines. 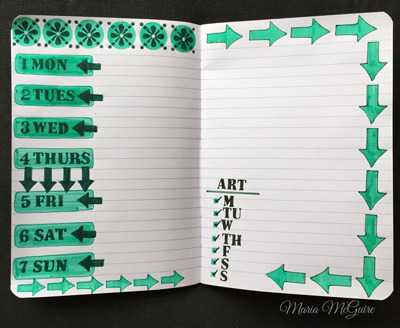 They come in a variety of sizes and even reversed. Grid outlines (reverse grids) come in 4 sizes. 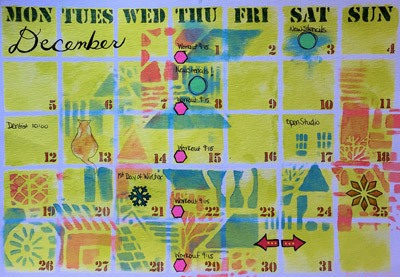 We hope whatever else might be on your list, you are planning to have a stencilicious rest of the day! 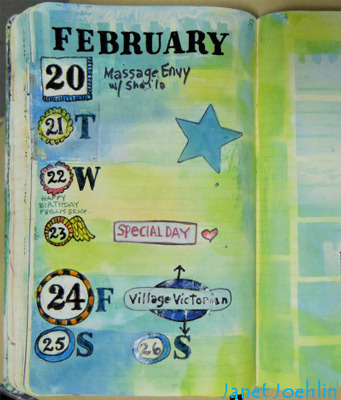 your planner pages will cheer you up.